Firefighters responded to an early morning abandoned building fire near 29th St. and Swan Road just before 1:00 a.m. Monday morning. 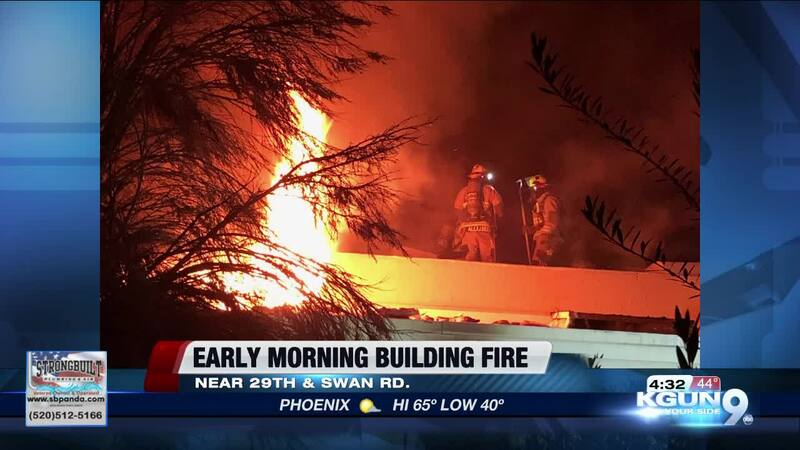 TUCSON, Ariz. — Firefighters responded to an early morning abandoned building fire near 29th Street. and Swan Road just before 1:00 a.m. Monday morning. The Tucson Fire Department says this is the second structure fire in six weeks. Crews arrived and were able to extinguish the flames within seven minutes. No victims were located and no firefighters were injured.